Come August and you can fly from Varanasi to Colombo directly. Prime Minister Narendra Modi made this announcement during his two days visit to Sri Lanka. 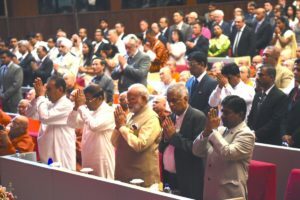 “I have the great pleasure to announce that from August this year, Air India will operate direct flights between Colombo and Varanasi,” said Modi at the inauguration of the International Vesak Day, the biggest festival of Buddhists. “My Tamil brothers and sisters will also be able to visit Varanasi, the land of Kashi Viswanath,” he added. One of the most important pilgrimages of Buddhists, Sarnath lies just 10 km from Varanasi, reported The Economic Times. Varanasi in Uttar Pradesh is the parliamentary constituency of the Prime Minister, from where he contested the 2014 Lok Sabha election. This is Modi’s second visit to Sri Lanka in two years. 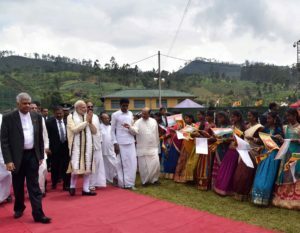 He arrived yesterday primarily to attend the International Vesak Day celebrations and his vist is aimed at reinforcing the traditional connect between India and Sri Lanka.